Of the trends that I encounter on a daily basis, I'd have to say that the ones having to do with color are some of my favorites. To me, it's just the easiest way to freshen your look for a new season, so I tend to embrace whatever color is currently trending. That said, I recently realized that I've been ignoring the color trend that's dominating right now when I read this piece from retail analytics company Edited. They used their data-gathering resources to explain the reason behind the recent rise of bright colors like orange, green, and yellow, and a lot of it has to do with Instagram. Edited stated, "Color is millennial peacocking—it's the fastest way to stand out on an endlessly-updating feed. And when there’s no predominant apparel trend—no must-have pant shape or dress length—color is a unifying force in fashion." They also point out that brands are designing more and more pieces that will grab one's attention on an Instagram feed. And yet another interesting point they made is that these saturated colors are most common in swimwear, dresses, and accessories. So why have I been subconsciously skipping this trend and filling my closet with neutrals and pastels? The only explanation I can come up with is that it reminds me of attending elementary in the late '80s and early '90s, which probably wasn't the chicest time in my life (shocking, right?). But I will say that Edited's data may have convinced me that it's finally time to let go of my Kindergarten hangups. Read on to see how cool the saturated color trend looks on Instagram and shop similarly-colored pieces along the way. Want to make your look even more eye-catching? Just add polka dots. 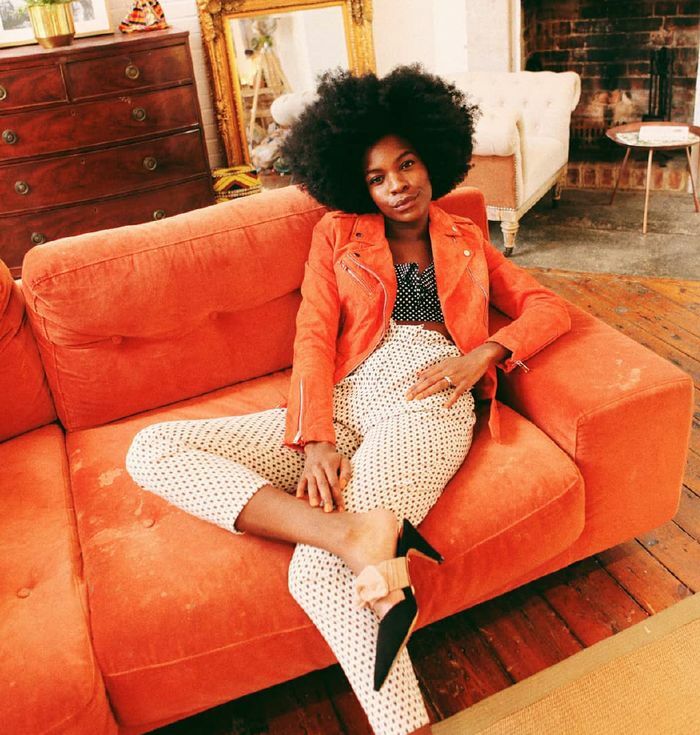 If there ever were a time to swap your black blazer for an orange one, it's now. Top and Shorts available in sizes DK34 to 40. Follow the lead of the street style set and choose a suit in a bold color. All the cool girls on Instagram are mixing saturated colors. This color is guaranteed to make future beach days "sizzle". Add a few red pieces to your basics and the rest is outfit history. Hot pink, purple, and other berry shades shine especially bright when paired with graphic black and white. Pretty berry-colored top > pretty white top. Available in sizes UK6 to 14. This is how to wear yellow to the office. The color green is surprisingly flattering, and you'll receive no lack of compliments when wearing it. You can't go wrong with a pretty green dress. Want more scoop on all the latest trends? Sign up for Who What Wear's daily newsletter.